It was one of the most highly anticipated arrivals in recent time; the reintroduction of a true icon; welcome in the adidas Predator 18. 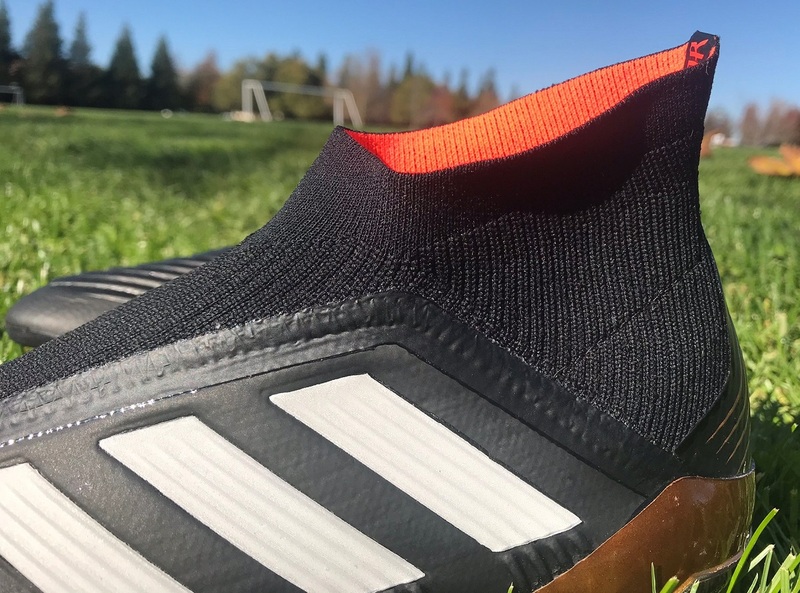 This isn’t your typical Predator style release, instead adidas has leveraged modern tech advancements to develop a new type of control boot. You just have to look at the inclusion of a higher cut collar and a CONTROLSKIN upper that doesn’t feature any famous rubber elements to see how they have evolved. There is no longer a direct emphasis on power; instead adidas has labelled this a boot intended to control the game. As you can imagine, reaction has been mixed, but there is no doubt about how these perform on pitch! 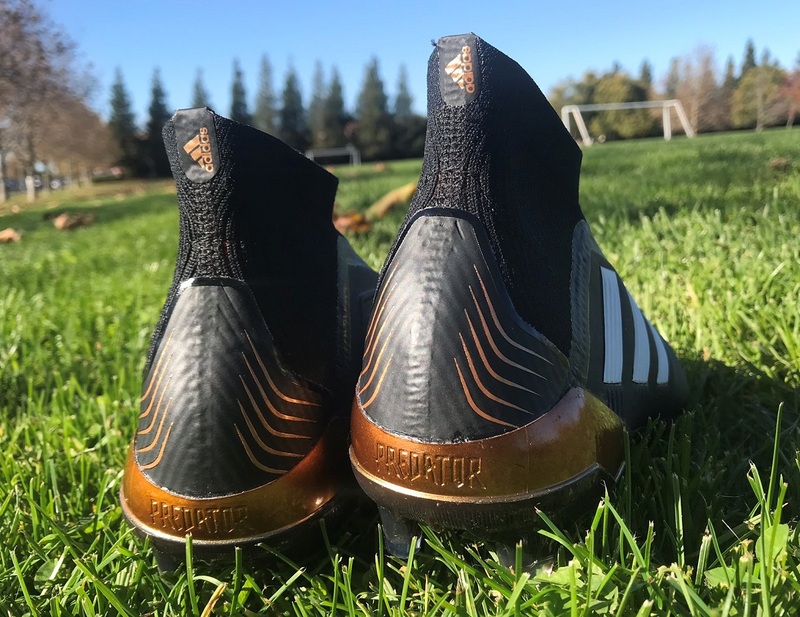 Find the Predator 18+ available at soccer.com. So many changes, yet it is pretty awesome to see such an iconic name return to the market. adidas hasn’t held anything back in creating something that is very different to all other current boots. It adds to the innovative nature that has lived alongside the Predator since the very first pair was released. Seeing how the entire package comes together is going to be very interesting! 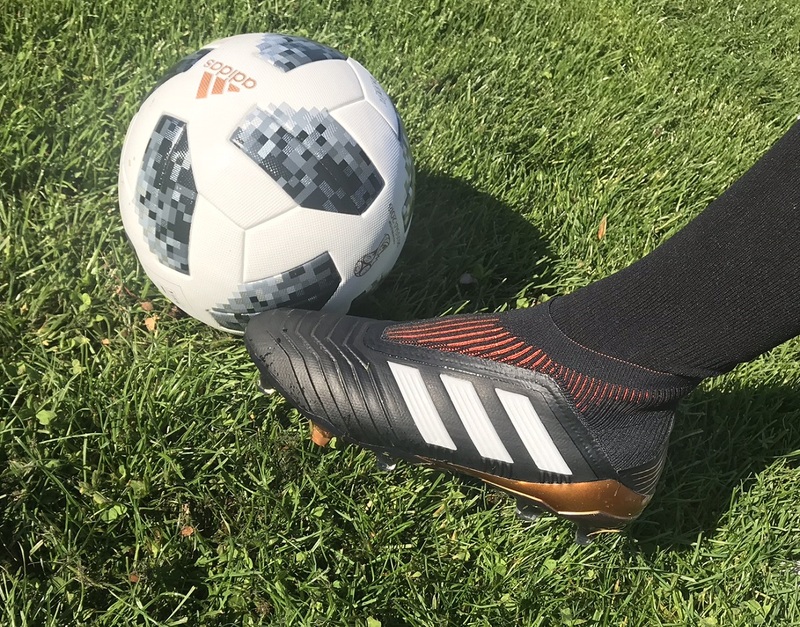 This is the first ever Predator to feature a laceless style design, with the Primeknit upper offering the snug, sock-like fit that is absolutely necessary to wear them without falling off. And, of course, one of the most common questions I’ve received surrounds whether they actually do stay on your feet or not. The answer will all depend on your natural fit. The wider your foot, the more space you’ll take up inside the boot. I’ll talk more about fit below, but know that they are not designed to slip off your feet. That wouldn’t make sense. In fact, it takes some effort to get your feet in through the narrow and constrictive ankle opening, so as it turns out that is actually the bigger challenge! Since they are a laceless shoe, it is very important to give the Predator 18+ some wear time to truly loosen up for a natural fit. The first time you slip your feet into them, you will notice just how constricted the knit is around the ankle. It is very snug and you will need to wiggle-wiggle into them. If you need some extra help, adidas include a shoe horn that you can use to stretch the heel back and make it easier to pop into. I went without using it. Don’t be discouraged if they initially feel too tight, it is likely to be like that for most players. After a few wears, the overall fit starts to become more personalized. Once you do get them on, they feel great and loosen up around your foot perfectly. The inside lining is very smooth and soft, so you feel really cushioned across the top of your foot. You get to choose your insole, with a thin Boost version inside the boot and an additional, extra padded set in the box. I went with the Boost version and they felt fine, only positives to report with a nice little bounce added to each step. In all honestly, it is tough to decipher if they do offer more bounce behind each step. The key here is that they feel nice and comfortable! Going down to the soleplate, or ControlFrame as adidas has labelled it. There is plenty of flex in both directions, in other words it bends with your toe down and in the unnatural opposite direction. I hope your foot never bends or extends in that direction, but the purpose is to actually provide some leveraged spring-back as you strike the ball. This is the type of soleplate that can be used competitively from first wear – if you deem that the upper feels naturally in tune when you put them on. Is This A Real Predator? In reality, this is a very acceptable question to be asking. adidas has taken a vastly different approach with this Predator compared to its predecessors, placing more of a focus on control than power. But, their approach is still based on innovation, so they represent what the silo always has. For more, we pieced together this article discussing how they match-up to the original Predator. Yes, this boot is the unofficial replacement for the Ace Purecontrol series. 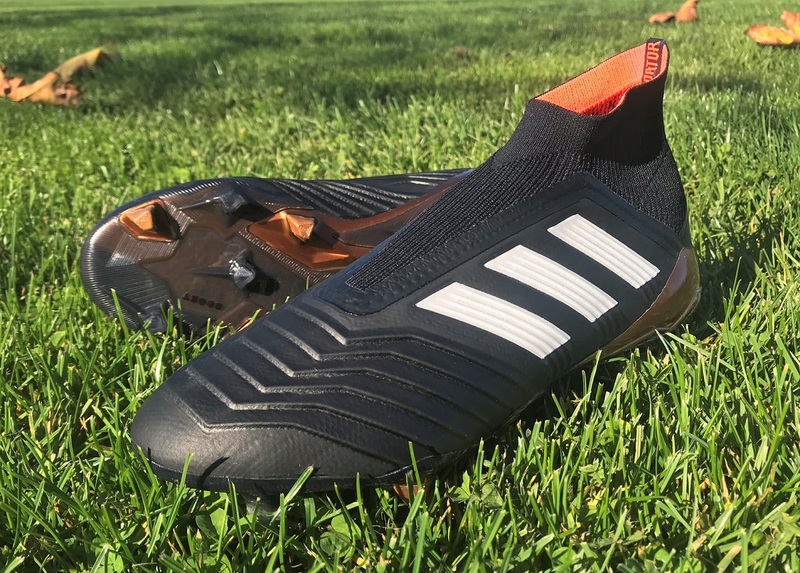 I say unofficial because adidas has stated it on record, But the Purecontrol is no more, and this boot basically provides players with 2.0 version. In fact, if these had been released as an Ace, do you think anyone would have connected them to the Predator silo? Let me start here by talking about the upper, specifically the region around the front of the boot. ControlSkin, a super soft synthetic material, is employed by adidas to create a clean and effect touch on the ball. To the touch, it is absolutely glorious and not what you would expect. From images, the tiered Predator styling on the front of the boot looks rigid and stiff. But, it is actually a built in foam structure that is incredibly pliable, and so super soft under your fingers. 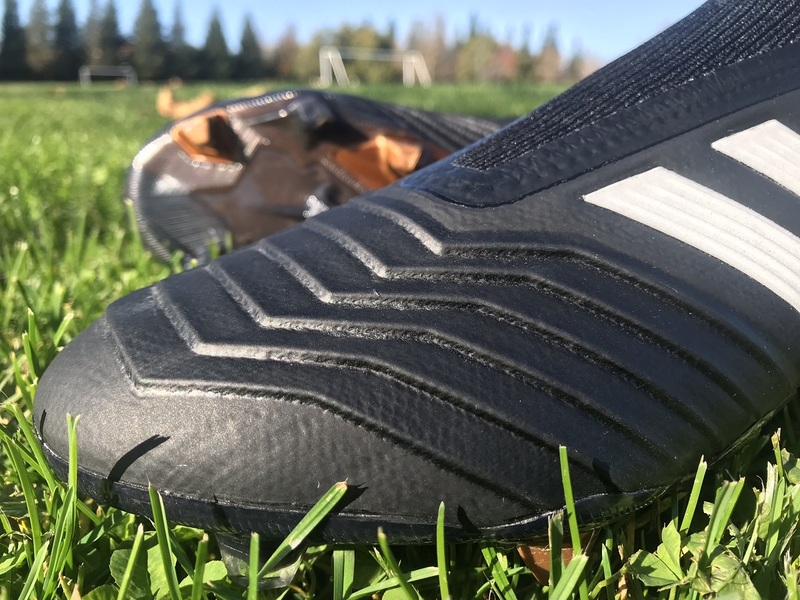 It has also has a stretch like feel to it, something that makes it very different from your standard types of synthetic you’d find on other boots. And given the fact that the tiered design does keep it step-to-step shape through wear, makes it even more impressive. 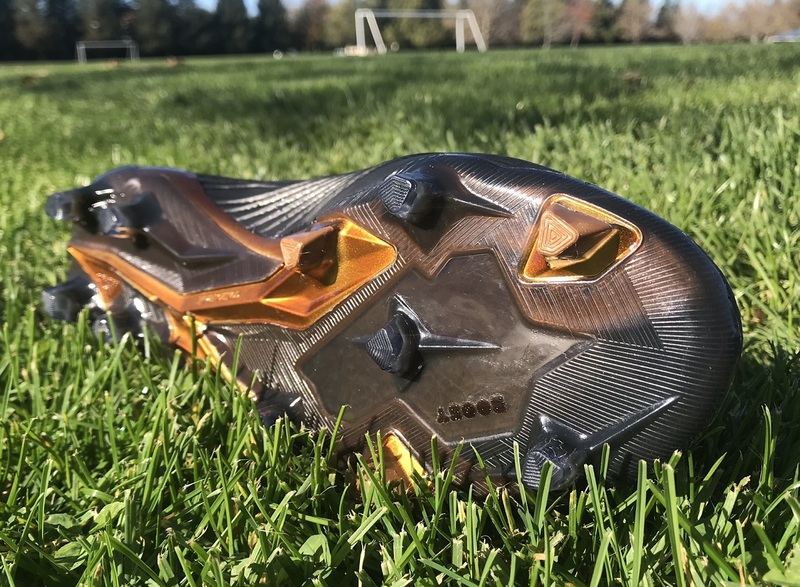 The concept is to add some additional definition for enhanced control on the boot, with the material having more angles to cushion while also providing a little extra rebound when you are striking shots. You can’t compare them to previous Predator boots, there is no added rubber elements to give you that crash, bang, wallop feel while shooting. If anything, I’d compare them to the Nike Magista series, with both boots angling towards total control in their own unique way. The final note here has to do with the instep, where adidas has added an extra control component. It falls in line with what they did on the Predator LZ series, something that is still synonymous with the CTR360 silo or even the Umbro Geometra. A raised V style groove pattern allows for additional cushion as you look to take in passes. This is the area you will use for balls dropping out of the air or to gently stroke incoming passes forward into space. I love its inclusion and it really does add value in-game. The only obvious concern at this stage surrounds the ankle collar and whether it will overstretch or not. From first wear to natural fit, there is definitely some loosening of the knit material. This all happens pretty quickly. Like most other knit boots, though, they don’t seem to overstretch once they are conformed to you. There might be a little extra stretch over time, but you really need to exert additional outward force on the material to enlarge the opening. If you are considering wearing a second-hand pair, it is definitely worth checking out the opening and how they fit for the previous players foot compared to yours. If they have a wider ankle, it is likely that they will have overstretched for you. This is one boot worth buying its value to buy new over used. ControlSkin, the upper material, is also designed for wear in all-weather conditions without water intake, giving it a distinct advantage over leather. The one thing that excites me about these boots is just how accommodating they are for a wide variety of players and foot shapes. 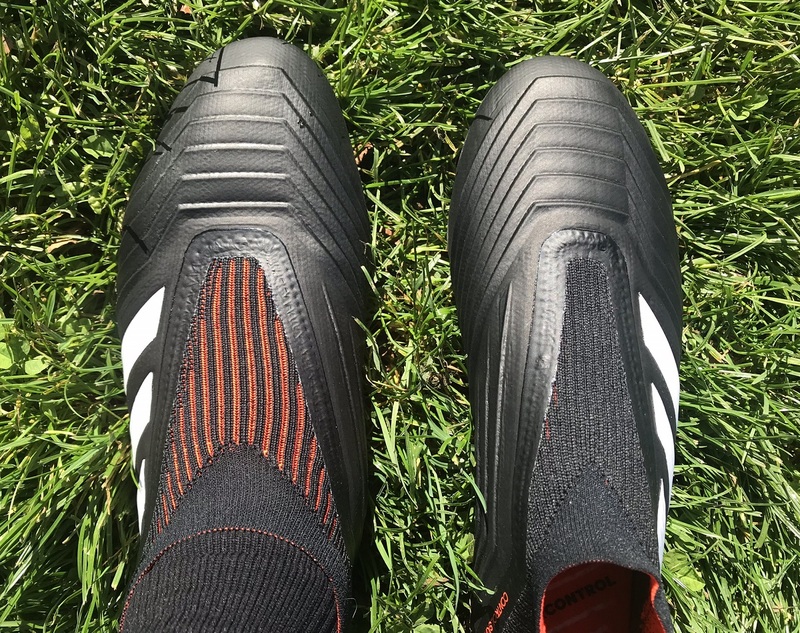 Because of the laceless style and the inclusion of a very tight ankle entry, there is bound to be a selection of players that immediately determine them to be a bad option. But, I say give them a chance. Once you slip your feet in, the actual fit and feel is pretty terrific with the upper stretching in a very unique fashion. Because some of you guys have a mega wide fit, I can’t say they are the top wide fitting boot currently on the market, but they are definitely in the category of solid options. 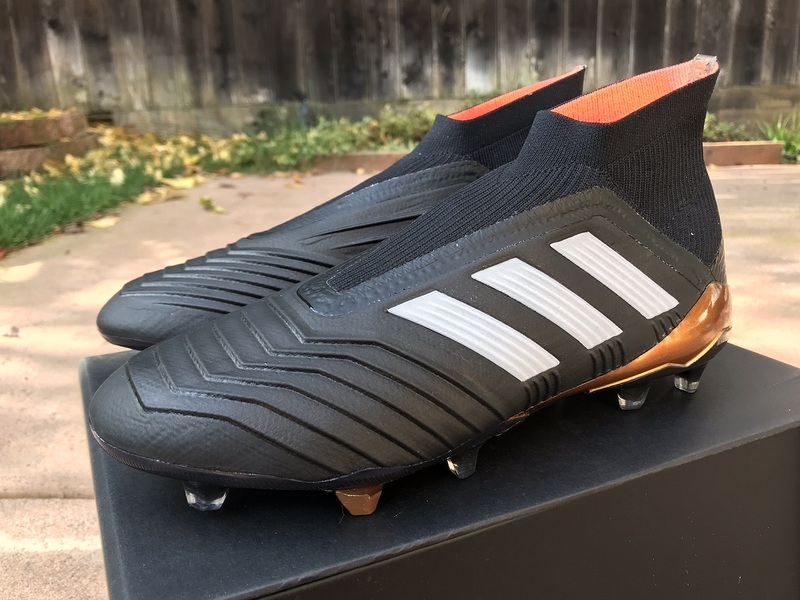 Length wise they are very much on par with expectations, fitting true to size in similar fashion to other adidas silo’s like the Copa17 and Purechoas. If you have a specific boot you want a size comparison against, let me know in the comments and I’ll give you more details. The only thing to note here is that some players genuinely might not enjoy the laceless style and fit of the boot. Having the ability to personalize the tightness of the fit using laces is something that can’t be ignored. For that, there is the Predator 18.1, with all the same attributes, just with the ability to lace up. If you decide to buy a pair, they come in a really tidy flip style box. It is a fitting addition to a high-profile package. Along with the boots, you will find a perforated Predator boots bag, a black shoe horn to help slip in and out of the boots, and an additional pair of comfort insoles. The entire package checks in at $299.99 and is available from soccer.com. 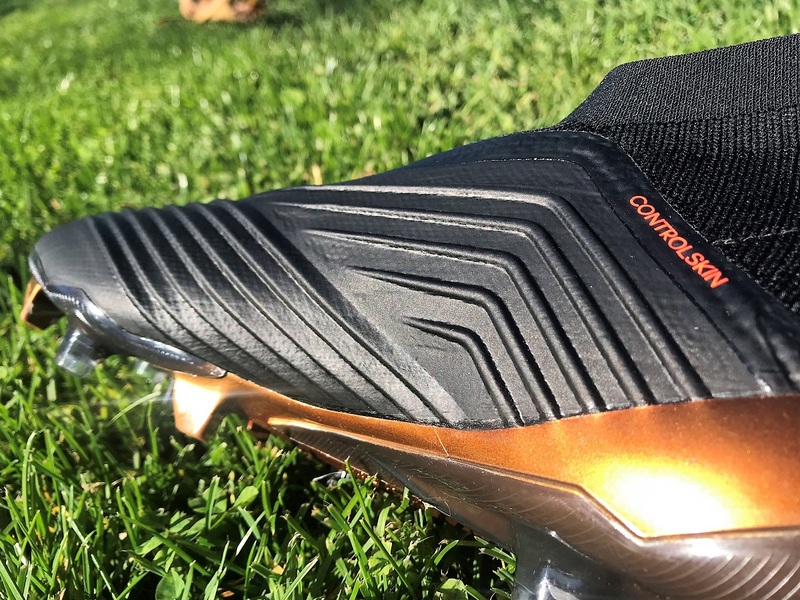 Highlight: Return of the Predator without laces, a modernized version of the boot that revolutionized the game on the feet of legends David Beckham, Steven Gerrard and Zinedine Zidane. 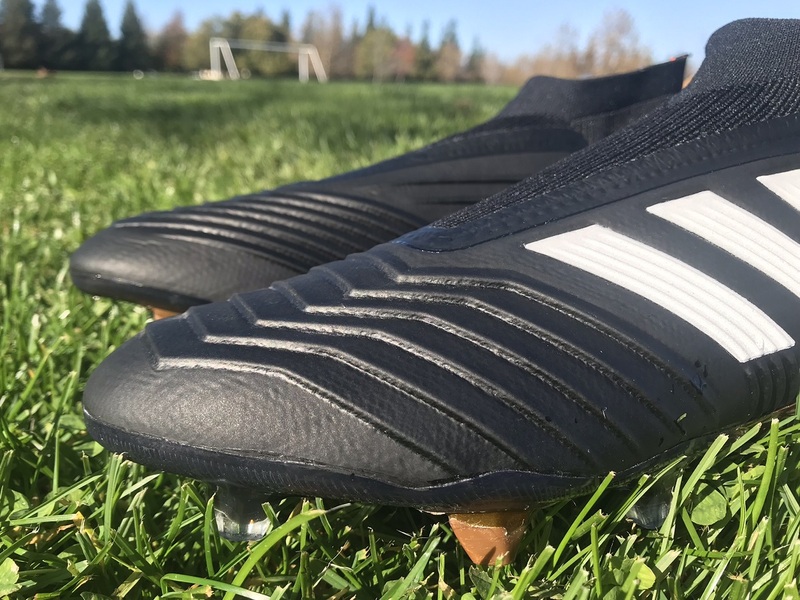 Would I Buy Them: I really enjoyed them and appreciate what adidas has done to reintroduce the Predator silo to the market. I’m a fan of laces, but if I hate to go laces I’d definitely splash out on a pair. Player Position: This one is so open-ended, there really isn’t a player that won’t enjoy the performance on offer. Consider them a hybrid for all positions! Hi there, how does the predator 18+ compared to Nemeziz 17+ size wise? I find the toe box at Nemeziz a bit tight for me. I am wearing size 7 US. How would you decide between this and the obra 2? hello, i'm wearing the copa 17 crowning glory in a uk9. What size would you recommend for me if i were to get these bad boys? how do they fit compared to the nike Magista? Also if i'm a size 10 for Adidas ultra boosts do i get a size 10 for these? I have a pair of these and I’m deciding on the size…. so I went for a 9.5uk and my true shoe size in all footwear and Nike boots is a 9uk. So I went for the advise and went for a 9.5 but they still feel really snug. Do I stick to this size or best to go up to a 10?? What size should i take when i have size 43 1/3 with the Mercurial Vapor 12 Elite. 44 or 44 2/3 ? How do they fit compared to Adidas predator but the 2014 Champions league boots and they were in a size 10. Do I get a size ten still. I also have some wide feet. Which laceless adidas cleats are best for a narrow foot? Also what size should I get if I wear a US 8.5 Nike Meecurials?